that’s when life becomes rewarding. Children: He had a total of 17 children! There were eight girls and nine boys. Four of their children died before the age of six months and another two before the age of two years. They had very interesting lives. Martha became a missionary in India, William was the Master of the Smack ‘Two Partners’ and Robert migrated to America. Career: Farmer, Householder and gentleman of Little Stambridge. Of note: The family name Durival has been given to a number of members of the Kemp family over the generations as a middle name. The name has been spelled several different ways including: Durrell, Durival, Durrivell and it has sometimes been abbreviated as Durr. The origins of this name are not clear. One possible explanation is that it was a Christian name of the Shorts family of Kent, one of whom married a Kemp. 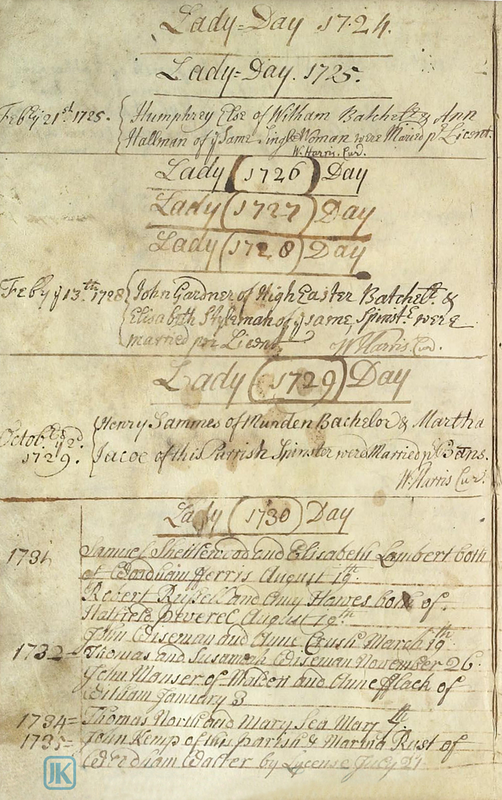 Of note: The marriage of John Kemp and Susan Stonard took place by licence. This was an option favoured by the wealthy and by non-conformists, since it avoided the necessity of having banns publicly read in the parish church. The licence was purchased from the diocesan or other relevant authority, who required a sworn allegiance, accompanied by a bond, there was no legal impediment to the marriage. 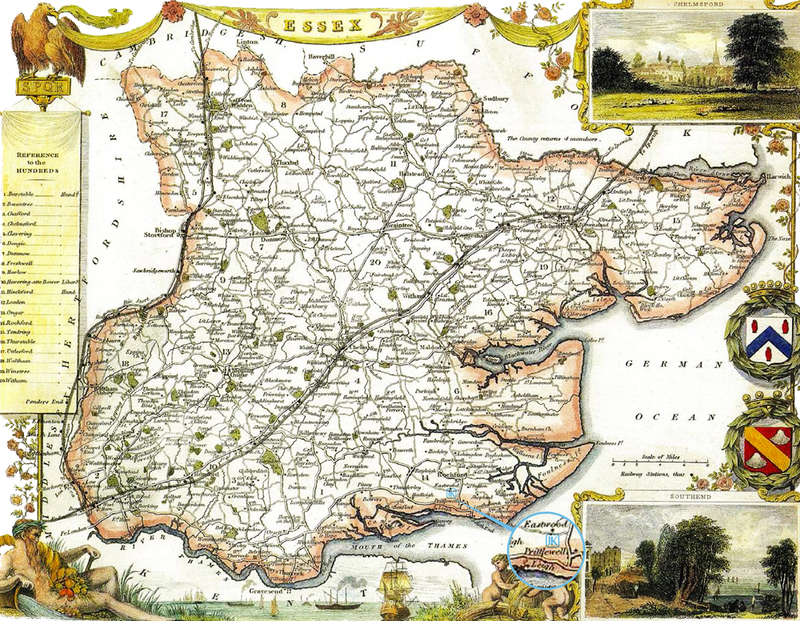 Originally John and Susanna lived in Rochford and after 1794 moved to Broomhills, a large house near Rochford, in the parish of Great Stambridge, which still survives to this day. Children: Six, including five girls and one boy. One of his daughters, Jessie, had a remarkable life. She went to India on missionary work. After returning due to ill health, she then went to China. She married Thomas Wesley Pigott and they had one son named Wesley. In 1892, they founded an independent mission in Shouyang where she worked as an evangelist and gave medical help. In the 1900 Boxer Revolution, they were all captured and publicly beheaded. 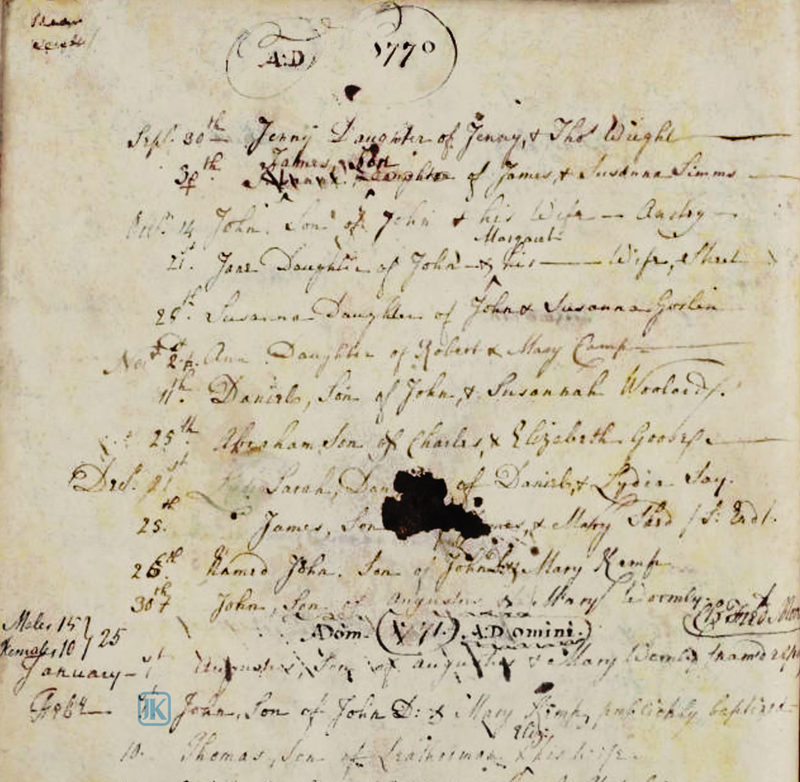 Career: At the age of 15, George started a seven-year apprenticeship in the manufacture of silk (see the section ‘of note’ for the terms of his apprenticeship – it was quite remarkable!). He later became a JP in Lancashire and joined forces with the Kelsall family to create the flannel manufacturing company Kelsall and Kemp, where he worked from 1861 to 1877. He was also a founding member of the Bloomsbury Baptist Church. 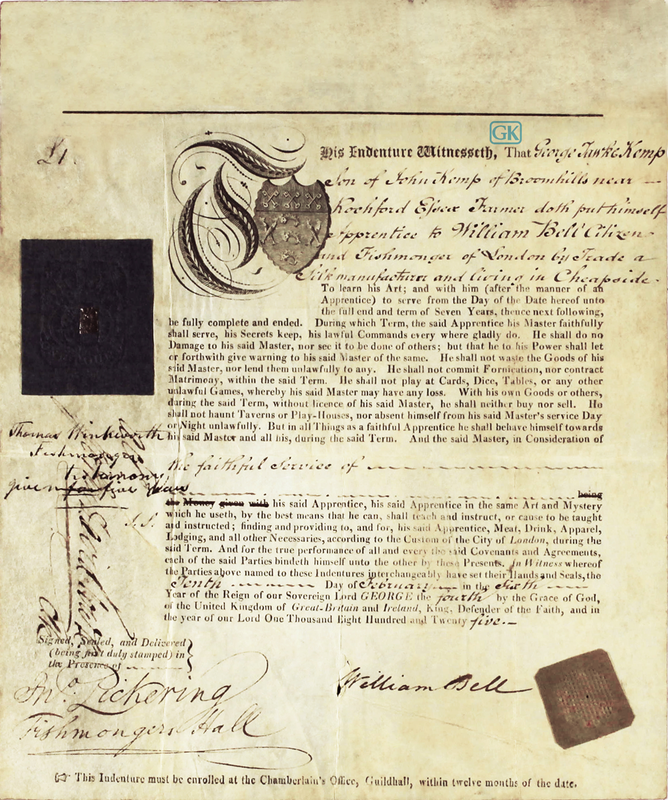 Of note: On starting his seven-year apprenticeship at the age of 15, he had to agree to the terms laid out in his indenture. It was something to behold. The terms included: ‘he shall not commit fornication, nor contract matrimony within the said term. He shall not play at cards, dice, tables or any other unlawful games, whereby his said master may have any loss. He shall not haunt taverns or play houses…’ and so it goes on! By the midpoint of his professional life, George’s circumstances had changed radically. In 1851, he was living at 43 Tavistock Square, London, helped by three staff. He then moved to a substantial property in Rochdale and the Census of 1871, shows he had 7 staff helping his family including a Governess, Rosina Droy from Switzerland. Lived: Old Hall, Highgate Village in London, Butts House in Rochdale and Lingholm in the Lake District. 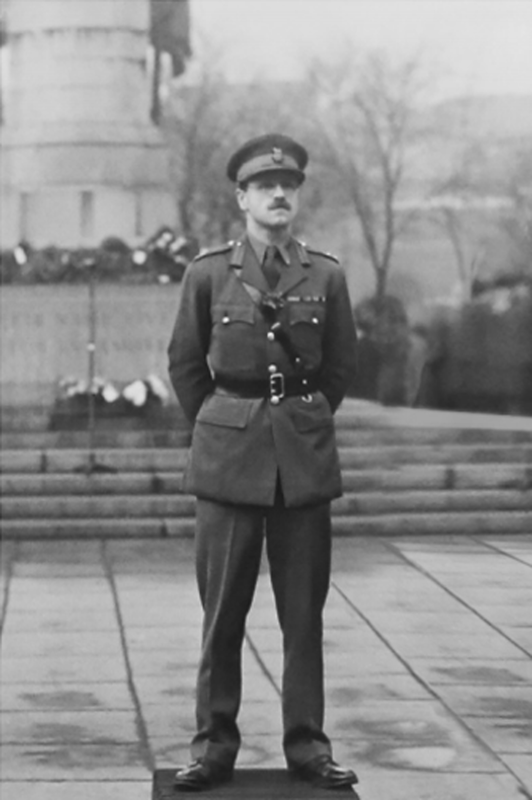 Career: Served as a Captain in the Boer War with the Duke of Lancaster’s own Imperial Yeomanry (a unit of volunteers, who served alongside the regulars) that was mentioned three time in dispatches. He served in the First World War at the age of 48. 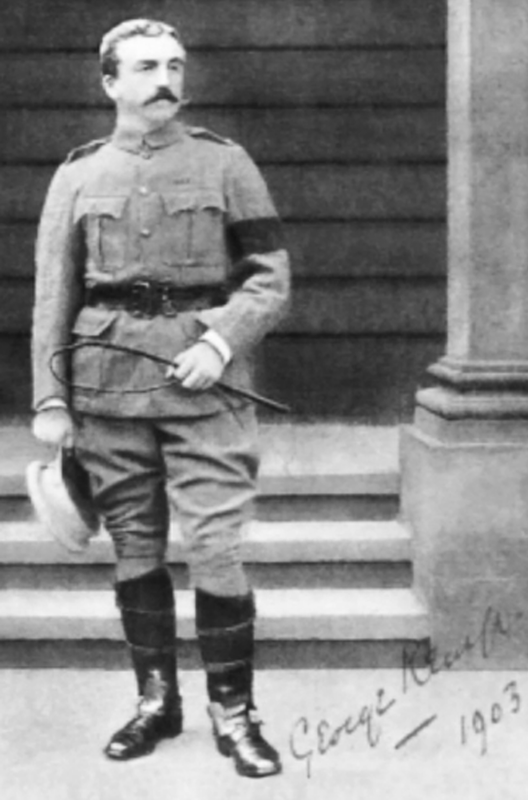 He was a Lieutenant Colonel in the Lancashire Fusiliers (reserves) in Egypt and the ill-fated and bloody campaign at Gallipoli. On the 4th of June 1915, he led the ‘Manchesters’ and of the 900 men he ‘took over the top’, less than 300 hundred survived. He was so appalled by what was happening at Gallipoli that he asked for special leave to report the true facts directly to the prime minister and Lord Kitchener, after which he then returned to Gallipoli. He was a Liberal Unionist MP for Heywood (1895 to 1906) and a liberal MP for NW Manchester from 1910 to 1912. He was knighted in 1909 in recognition of his military service and created a Baron in 1913 also in recognition of his military service and political contributions. He held a number of positions including: Director of Barclays Bank and Chairman of Kelsall and Kemp. Of note: The Census of 2nd April, 1911, showed how the fortunes of the Kemp family continued to evolve. George, his wife Beatrice, their daughter and son were living at 32 Grosvenor Gardens, London, a house with 30 rooms. They were supported by 15 servants including a butler, footman, second footman, three housemaids, two chauffeurs, two ladies’ maids, a cook, kitchen main, scullery maid and under housemaid. George was a true believer in Liberal politics and a staunch supporter of free trade. By the end of his political career, he had tired of being a politician and was disillusioned with shenanigans and the unenlightened positions held by the government of the time. He left with the parting words that he ‘loathed politics’ and politics ‘had been a source of unmitigated dislike and unhappiness to him’. Children: There were two children including one son and one daughter. Career: During the Second World War, he was part of the British Expeditionary Force and the mass evacuation of British troops from the shores of Dunkirk. By chance, he was able to pull Alec Davidson (who had worked for his father) from the sea, into the small boat he had just been hauled into. He saw active service throughout Europe, India and the Pacific where he was attached to the US forces and was promoted to Honorary Brigadier. He was awarded an OBE in 1945. He became Chairman of Kelsall and Kemp in 1945. He was appointed Chairman of the Cotton Board in 1957 and was a champion of the cotton industry and trade.In his memoirs, Harold Macmillan (British prime minister) wrote “the chairman of the British Cotton Board was Lord Rochdale, a man of infinite patience and skill, combined with absolute integrity. Without Lord Rochdale, we could have achieved nothing. I never ceased to admire his devotion to a task which he had undertaken purely from a sense of public duty.” He was also a director of a number of businesses and financial institutions. 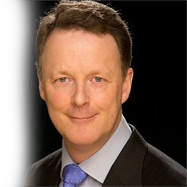 He held various roles in shipping including Chairman of the National Ports Council, Harland and Wolff and headed a three-year enquiry into UK shipping. 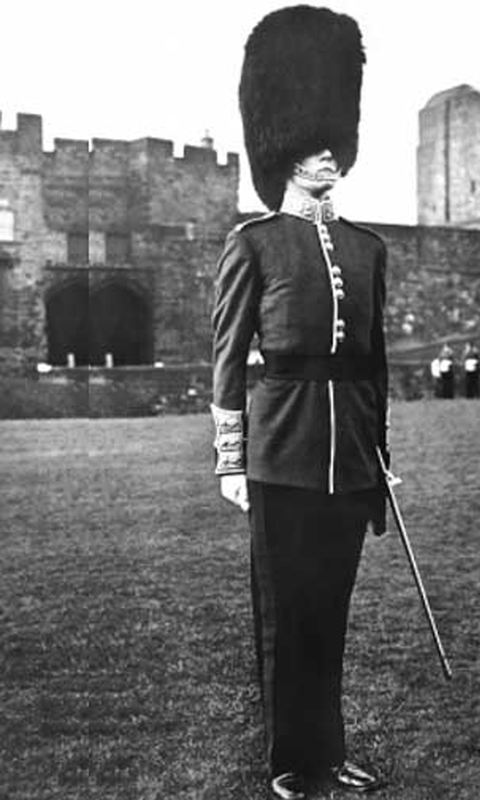 He was made a Viscount in 1960 in recognition of his public service. He was also a very active and conscientious member of the House of Lords. Interests: The gardens and woodlands at his home Lingholm, the arts and Christian Science and social engagements. Of note: He was a firm conservative and believer in government intervention in the right circumstances. He was always of the belief that university should not only prepare people for the professions but also for manufacturing.He knew that an important tenant to the creation of wealth was manufacturing and trading world-wide. John was greatly assisted by his personal assistant of 30 years, Marjorie Dymock, whose organizational and administrative skills enabled him to focus fully on his business and political responsibilities. On his death, Marjorie continued to work for his wife Elinor. Interests: High altitude climbing (Two-man team with professional mountaineer Neil Allinson), cycling and walking. Educated: Stowe School. As a mature student in his thirties, he earned a Post Graduate Diploma in Management Studies for which he received a distinction.This was followed by a Master’s of Science Degree in International Shipping, Trade and Finance at Cass Business School, London for which he came in the top 10%. Career:Shortly after leaving Stowe, he worked in the Australian Outback on a cattle station for a year. 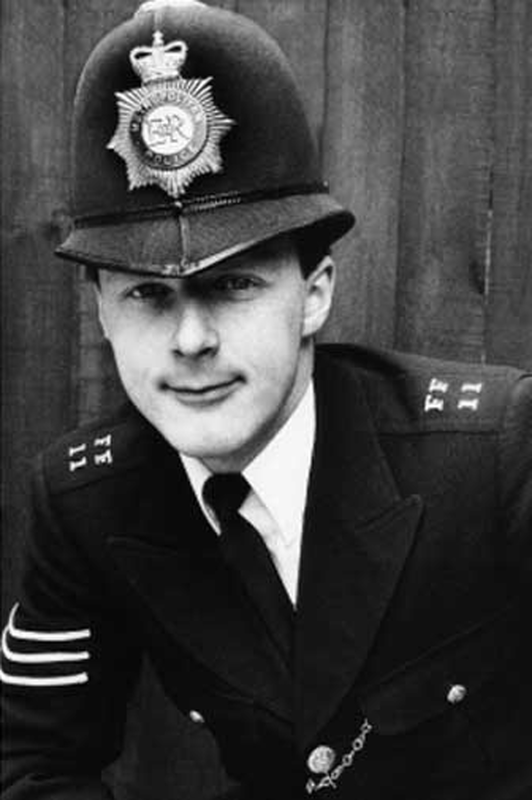 He joined the Metropolitan Police in 1982 and worked there for 11 years. He served as a constable at Chelsea and then as a sergeant in Fulham. It was a time of great social and political change, bombings in London, major industrial disputes throughout the country and restricted access to certain parts of London. He was awarded two commendations, for his bravery and investigative ability. In 1998, Jonathan set up his own business SmartWisdom to help experienced professionals and students manage knowledge more effectively. It allows them to save time and to optimise their performance in their daily work and studies, particularly in meetings, presentations and lectures. He created SmartWisdom which is the advanced business and study note taking technique that increases our human capacity to focus, listen and understand new information from meetings, presentations and lectures. SmartWisdom will soon be offered world-wide through high quality on-line learning. As the current head of the Rochdale family, he held a reunion in 2016 for family and friends at their former family home, Lingholm. Publications/Talks/awards/languages: Jonathan is the co-author of two scientific papers published in peer reviewed journals. In 2015, he delivered a TEDx talk on Managing Information Overload at City University, London. In 2011, he was awarded the Entrepreneur of the Year award by the British Dyslexia Association. He also speaks Mandarin at an intermediate level. Interests: Jonathan is an accomplished photographer. His primary interest is how the camera can be used to meet people and to quickly build a rapport and relationship with them. This is particularly effective in situations where it could be very difficult to do so otherwise. A display of some of his work can be seen on Jonathan Kemp Photography.